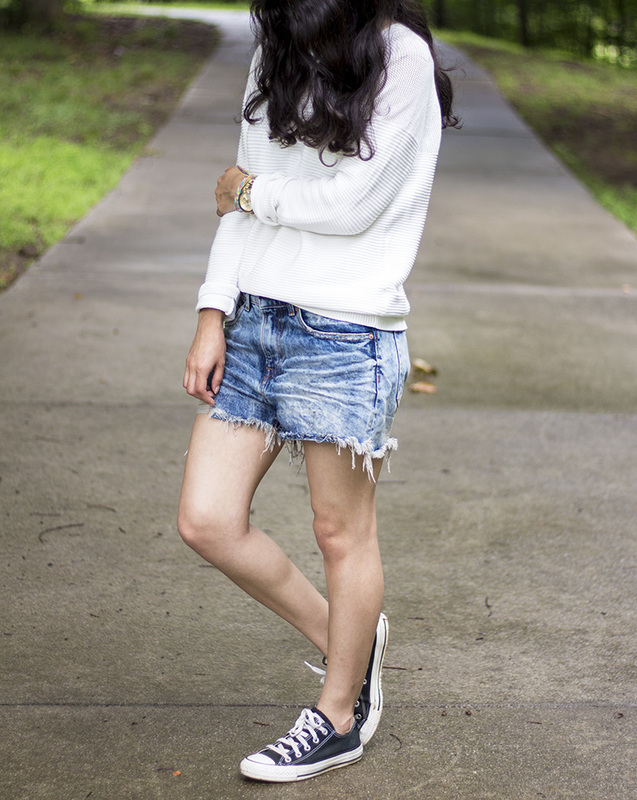 A comfy sweater, ripped shorts, and old converse- the perfect combo for a lazy Sunday in my opinion. I spent it out of town doing some shopping, eating good food, and being around my family. Cute outfit! 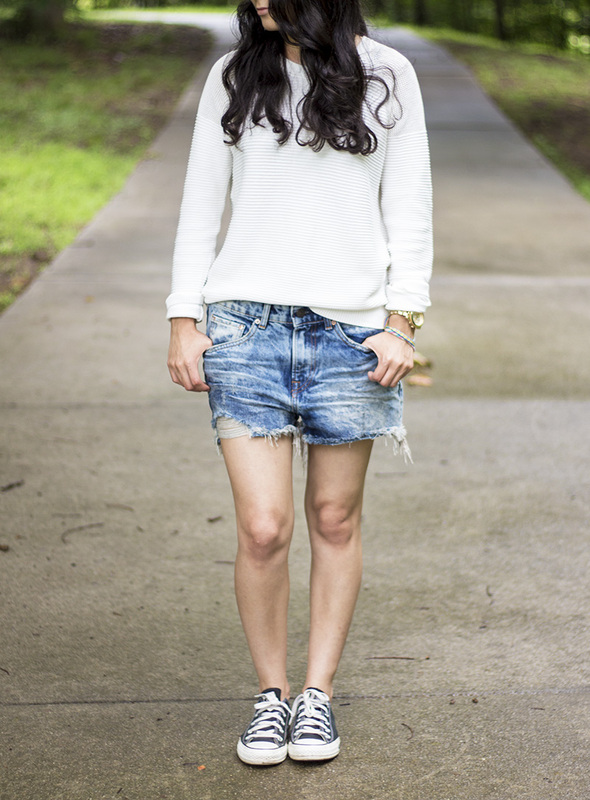 Love those cutoff shorts!